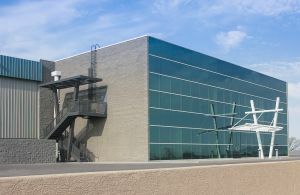 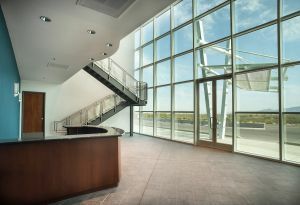 Podolsky designed this two-story 20,000 SF plastic molding office building connected to a 90,000 SF manufacturing building. 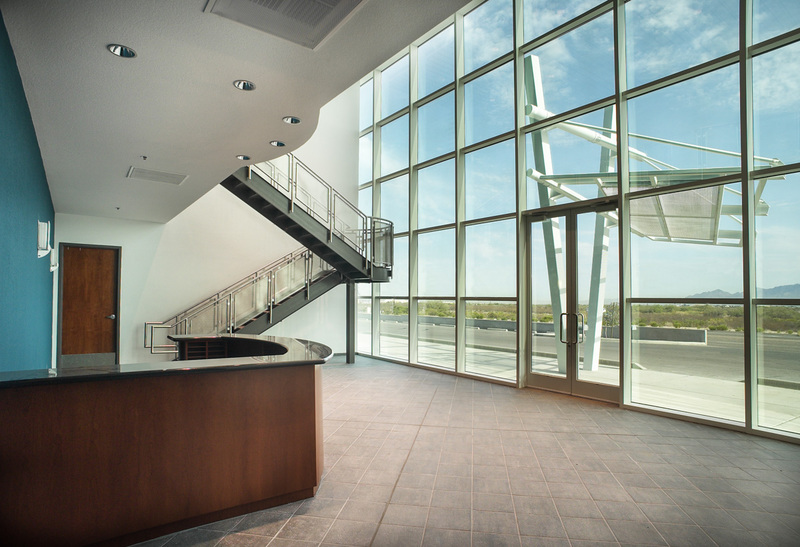 The office building is constructed of split-faced concrete block and high efficiency reflective glass. 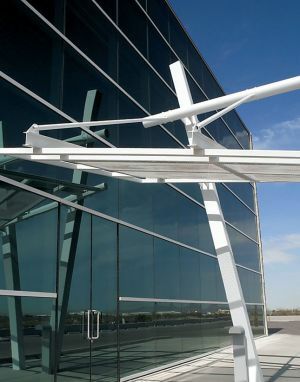 These materials were selected to be both compatible with and reflect with the surrounding environment. The sculptural entrance canopy develops articulation to the subtle building entrance.